Page Excerpt of the Bernardo Bernardo Interview | Ámauteurish! 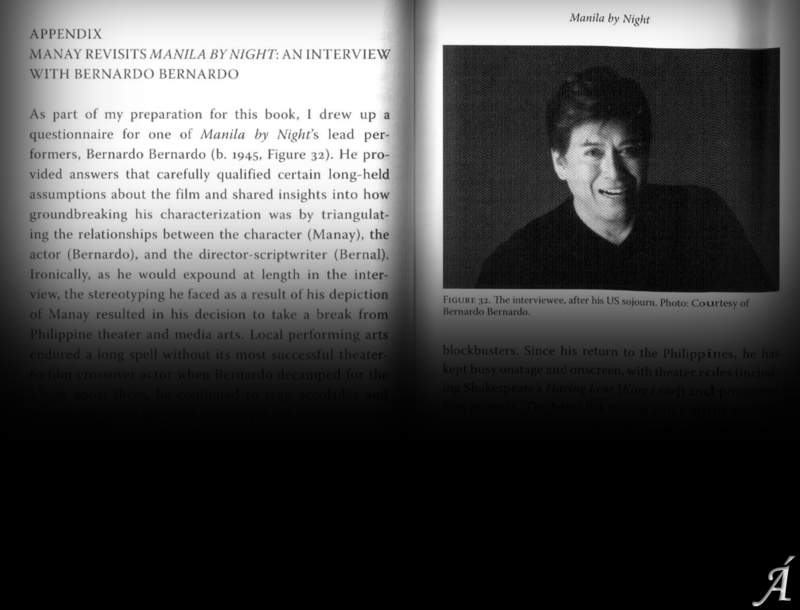 Above (click to enlarge) is the first page of the interview I conducted with Bernardo Bernardo, originally posted on this blog and also titled “Manay Revisits Manila by Night.” It is now an Appendix in my Arsenal publication, Manila by Night: A Queer Film Classic (Matthew Hays & Thomas Waugh, series eds.). Until a Philippine publisher reprints it, the book may be purchased from North American booksellers including the publisher’s website. This entry was posted on Sunday, March 4th, 2018 at 4:37 am	and tagged with Star texts and posted in Book. You can follow any responses to this entry through the RSS 2.0 feed.